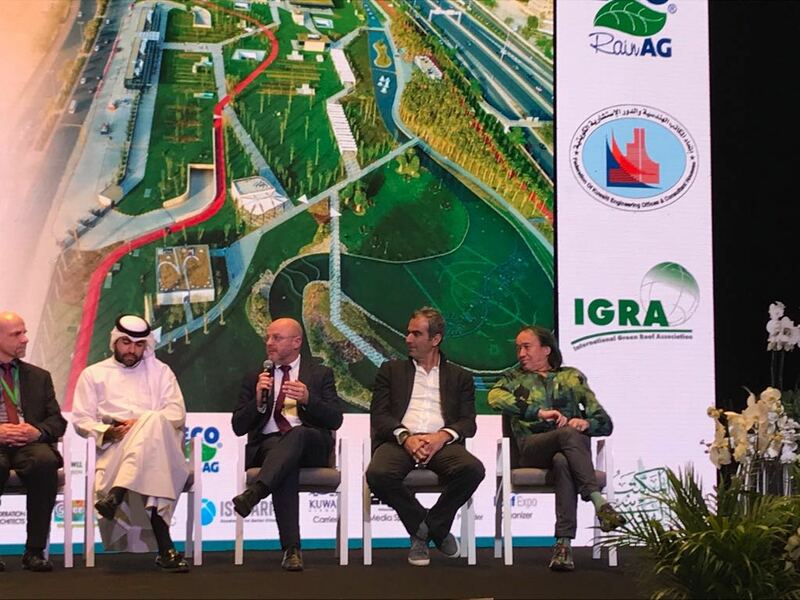 The first IGRA event in the Persian Gulf region was hailed as a very important platform to highlight Green Roof and Green Wall topics in this geographical area. Nevertheless, further steps are paramount and must be taken. Bringing Nature back to Town is, undeniably, more difficult in dry climates. But if municipalities, planners, scientists and industry work together the challenge can be met. Jamil Corbani, founder of Greenstudios was the congress moderator and a speaker/panelist amongst a list of globally recognized professionals, such as Kai-Uwe BERGMANN from BIG architects, Patrick Banc, Landscape architect Deborah NEVINS, Fida Al Hammadi from Dubai Municipality, Kyosuk LEE form MVRDV, Rudi SCHEUERMANN from ARUP and many others. Greenstudios projects in Lebanon, Egypt, UAE where shortlisted 2 times amongst the top 10 hot weather green wall installations, by Linda VELAZQUEZ of greenroofs.com. previous . CLIX . news . view more news . next . Jamil Corbani // High-Impact Endeavor Entrepreneur .